BRYAN EATON/Staff Photo. 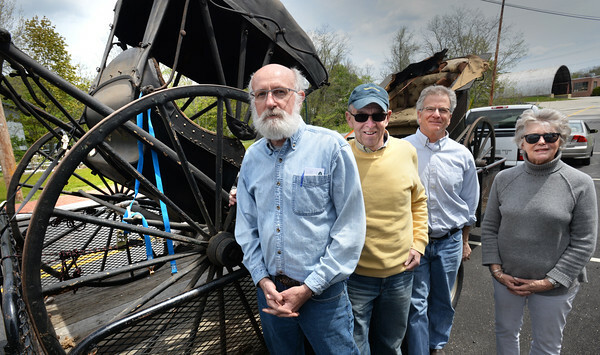 Tom Pendergast, left, with a circa 1830 Charise carriage. Other Amesbury Carriage Museum members, Peter Hoyt, John Mayer, executive director and Susan Koso.